Do you really need to wash produce before you eat it? I'm curious about something. We generally take it as a given that we should wash produce before we eat it. But I've never actually seen any evidence that washing produce at home makes it safer to eat. 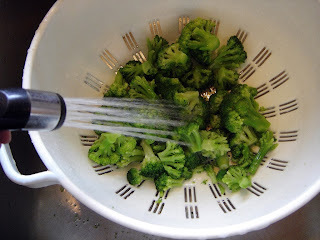 I'm highly skeptical that rinsing produce under cool water would be sufficient to wash away bacteria or pesticide residue in the first place, and I have never seen any evidence that ingesting trace amounts of (most) bacteria or pesticide residue produces any long-term health consequence. Anyone know any more about this? Any actual evidence that it's not a waste of time to wash produce?